I’ve tried them all and declared Mongolian Grill in Woodinville the best Mongolian grill on the Seattle eastside. It is so. SO. GOOD. Chicken breast is an option! Even better? It’s just off the Sammamish River bike trail. 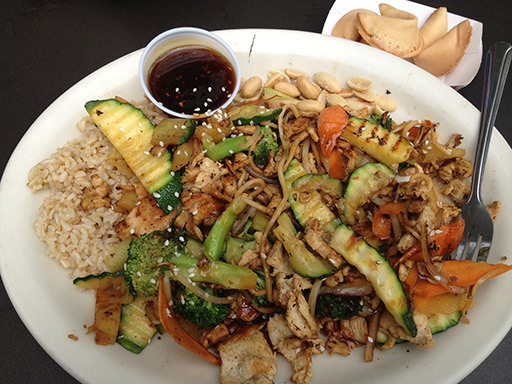 Work up an appetite on the trail and then eat a huge lunch at Mongolian Grill. Or walk around Molbak’s and then eat. Or hit a movie. Have dessert at TCBY afterwards. Sheesh, the options are endless. Just don’t crowd up my favorite restaurant too much, okay?